Airports, Acquisitions, Promotion, Wi-Fi and More! Brussels Airlines introduced a new passenger service system in 2016. To make its departure control and adjacent applications accessible from the respective CUTE systems at each of the airports in its network, the Belgian airline is using cFront/LAGUNA from Lufthansa Systems. CUTE stands for Common Use Terminal Equipment. This software enables airlines to make shared use of airport IT infrastructures. This means that different airlines can use the same hardware to access their own servers for passenger and flight handling. The cFront/LAGUNA adapter software helps standardize the different versions of the CUTE systems. “We have more than 100 destination airports in our route network. As an airline, it isn’t possible for us to develop interfaces for every version of CUTE and acquire the necessary certifications. This is why we are relying on the expertise of Lufthansa Systems,” said Paul Rogiers, Delivery Manager Outstations/IT at Brussels Airlines. For many years, Lufthansa Systems has offered airlines comprehensive CUTE services – from setting up the applications to carrying out updates and maintenance. cFront/LAGUNA was modified by the experts to meet the specific needs of the Lufthansa Group. The software is based on the CUTE solution known as cGroup. It accesses an airline’s IT systems in a smooth, standardized way and supports all leading CUTE platforms as well as the new standards for Common Use Passenger Processing Systems (CUPPS). In addition to Brussels Airlines, other airlines in the Lufthansa Group are also using cFront/LAGUNA. This means different airlines in the Group can benefit from a shared check-in system if necessary. Users can access the system from anywhere with a web app. cFront/LAGUNA also offers monitoring functions that provide an overview of the status at all CUTE and CUPPS airports and enables the responsible management team to intervene quickly in the event of a disruption. “Thanks to the shared certification and provision of cFront/LAGUNA, the Group solution was already available at many of the airports in Brussels Airlines’ network. During the implementation, we simply had to add the information specific to Brussels Airlines. This saved money and ensured a fast launch,” said Bjoern Steinbrecher, Head of cGroup Solutions at Lufthansa Systems. Editor’s Note: If you think there is not enough electronics in the airport departure and entry areas, you need to keep your eye on companies like Lufthansa Systems and Vision-Box. www.vision-box.com. Here is another link about the coming technology. We recently came across an interesting website about the use of Android apps for passenger devices. While a bit old (2014 – 2015) we note their comments: “The average customer rating across Apple App Store and Google Play for the 12 major European airlines included in this study grew from 3.2 to 3.6 (on 1 to 5 scale) between January 2014 and October 2015. And you guessed it – this app stuff is getting a lot more important to travelers. Airlines aiming at increasing personalization are aware of the importance of mobile apps. However, a prerequisite to unleashing new streams of ancillary revenues through tailored offers is offering an outstanding digital user experience.” The app importance is noted in the link above, but tnooz said: “The average customer rating across Apple App Store and Google Play for the 12 major European airlines included in this study grew from 3.2 to 3.6 (on 1 to 5 scale) between January 2014 and October 2015. While the airline average was around 3.1 to 3.6 (or lower) a reader sent us LATAM’s score (a few months old) – 4.0 Google/4.0 Apple – Guess who designed it? If you said Zii, you win! And speaking of Zodiac Aerospace, Safran will buy them and merge the two companies with lots of financial machinations if all the business offers are accepted. In the end, Safran landing gear, nacelle, power systems, actuators and avionics would be combined with the Zodiac seats, cabin interiors, power distribution, lighting, safety, and oxygen/fluid/safety equipment. Here are the involved Zodiac companies: Heath Tecna, Contour Aerospace, IMS (Zii), NAT, TriaGnoSys, PPP, and Greenpoint Technologies. One expert said that the message here is clear, Safran see’s the future of electrical and avionic involvement in in aircraft. We believe, because of their native product differences, that management selection will be very critical as the two companies are so different and almost opposite talents. It is worth noting that the combined company would have about 92,000 employees and we understand Safran purchase is estimated to be approximately $9.5 Billion. Interestingly, Safran attempted this acquisition in 2010. FYI, if the deal goes through, Safran will be number three Tier 1 supplier behind GE and United Technologies. However, the purchase is still subject to shareholder approval and if so it will close at the end of 2017/ 1st Qtr. 2018. Stay Tuned. Gogo announced that it has promoted Jon Cobin to Executive Vice President and Chief Commercial Officer of Gogo. 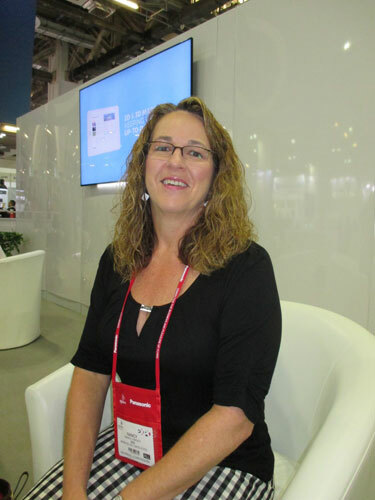 Cobin has served in a leadership position at Gogo for six years, most recently as head of strategy and global sales for Gogo’s commercial aviation division. In his new role, he will continue to manage strategy and sales, but will take on the added responsibilities of managing Gogo’s product and marketing teams. Under Jon’s leadership the company has experienced numerous successes, including adding more than 1,000 2Ku aircraft to the backlog in 2016. “Gogo is at the forefront of technology development and innovation and combining our strategy group with product, sales and marketing enables us to better align the organization around meeting the needs of our global airline partners,” said Michael Small, Gogo’s president and CEO. “Jon’s proven leadership makes him the right person for this role.” Congratulations Jon! JetBlue announced the completion of its fleet-wide Fly-Fi installations and they said: “Fly-Fi is the revolutionary Wi-Fi service offered to JetBlue passengers for free across the carrier’s 227 aircraft, including Airbus A320s, A321s and Embraer 190s. This Wi-Fi offering was developed by Thales InFlyt Experience to meet JetBlue’s expectation to offer connectivity services for every seat, on every aircraft. This service allows passengers to connect and remain connected from gate-to-gate. With the completion of these installations, Thales has again enhanced the passenger experience for JetBlue by providing high-bandwidth connectivity services that complement existing stored and live in-flight entertainment products.” For additional details on this service, please refer to this JetBlue press release. Global Eagle Entertainment, CA secured a $500m senior-secured term-loan facility and a new $85m senior-secured revolving credit facility. An unnamed IFExpress reporter told us: “Yesterday, I spoke with a friend of mine at (US) FCC and he confirmed that there will be organizational structure changes within. The alleged purpose is to “streamline” the licensing process. We’ll see. I have my doubts with any Federal bureaucracy. However, it could make for an interesting scenario with the 14 GHz air-to-ground license auctions. I suspect the license costs will go higher. Notwithstanding the purported organization changes, with every presidential transition period, he told me, from Republican – to – Democrat, or vice versa, or has about a 3-4 month period when almost nothing happens.” We concur. This year Zii has added an aftermarket support package to round out their portfolio of products. With RAVE Care, an airline can tailor a support package to its specific needs for a fixed price per month per aircraft. RAVE Care can include everything that an airline needs to maintain and operate their IFE systems, including spares, repairs, customer abuse and even content integration. Included in RAVE Care is a software guarantee that means airlines never have to worry about the cost of updating their Passenger User Interface and features over the lifetime of the system. 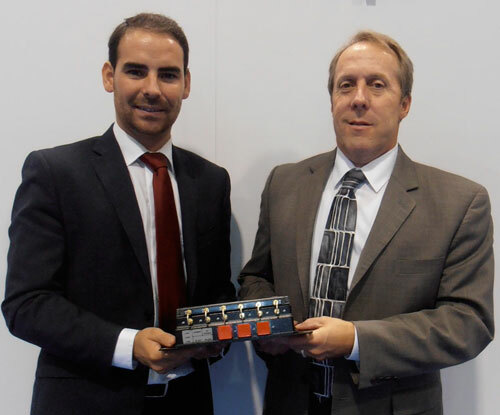 This year APEX introduced a ‘Cool Award’ that was selected by industry peers. PXCom was the recipient of this award, probably because of the recognition of many of the companies’ innovations such as seat back wireless IFE compatible destination guides and destination information. IFExpress has had the pleasure of knowing Cyril Jean of PXCom for several years now and we have reported on their many innovative IFE communication developments and we were thrilled that their IFE peers acknowledged their creativity. Congratulations PXCom! On another front, Airbus plans to increase delivery rate of their A350 next to some 80 aircraft next year. Boeing Chairman, President and CEO Dennis Muilenburg on Monday named Kevin G. McAllister president and CEO of Boeing Commercial Airplanes, succeeding company Vice Chairman Ray Conner in that role. Muilenburg also appointed Stanley A. Deal president and CEO of Boeing Global Services, a new business unit to be formed from the customer services groups within the company’s existing commercial airplanes and defense, space and security business units. McAllister joins Boeing from GE Aviation. Deal is a veteran Boeing executive. Conner, 61, will continue to serve as Boeing vice chairman through 2017. He will work closely with McAllister in the months ahead on a purposeful hand-off of customer, supplier, and community and government relationships, and to ensure continuity of operations and customer support. Conner also will provide strategic oversight and guidance for the company’s transition to a single integrated services business and remain involved in ongoing product development strategy at Commercial Airplanes. Deal will begin immediately finalizing and executing detailed and deliberate plans to structure and organize the new business while ensuring all near-term customer commitments are met and value is maximized over the long term. Deal and McAllister join Caret as business unit leaders reporting directly to Muilenburg. They also become members of the company’s Executive Council. The appointments are effective Nov. 21, 2016. The World Trade Organization (WTO) today rejected virtually all of the European Union’s challenges to the Washington state tax incentives. The EU challenged seven different state tax incentives. The WTO rejected entirely the EU’s challenge to six of the seven incentives and rejected most of the challenge to the seventh. The WTO held only and narrowly that a reduction in Washington state’s Business and Occupancy (B&O) tax rate for future 777X revenues is inconsistent with the WTO agreements. The WTO threw out all of the EU’s other challenges to various incentive programs and left untouched even the B&O tax rate as it applies to revenue from the other Boeing models produced in Washington state–the 737, 747, 767, 777 (current model) and 787. In total, the EU claimed that Boeing had received $8.7 billion in subsidies. This claim was rejected by the WTO, which found future incentives totaling no more than $50 million a year to be impermissible. The WTO found that to date Boeing has received no benefit from the 777X rate incentive, and will not until 2020, because the first airplane will not be delivered until then. In light of today’s decision and the massive liability that the WTO has found against the EU and Airbus, we expect the EU and Airbus to appeal the decision. Singapore | October 24, 2016– Zodiac Inflight Innovations (Zii – a Zodiac Aerospace company) has in the past six months secured well over 200 new RAVE AVOD IFE systems to equip commercial aircraft, four new A350 customers, 150 committed B737Max aircraft, their first A380 customer as well as over 200 Global Express Connectivity equipped aircraft committed with the first installation scheduled early in 2017. Zodiac Inflight Innovations is quietly becoming a force in the world of IFEC. Zii first hit the IFE scene with their revolutionary new Seat Centric IFE system in 2011 and just five years later they are growing with over 45 airline customers, over 550 aircraft in service, and over 650 aircraft in committed backlog. Zii has added to their basic AVOD system (“RAVE Centric”) a wireless IFE system (RAVE Wireless) and a line fit Ka-band connectivity system (RAVE Broadband) that is available on all Airbus platforms including the A350 XWB and A380. Today, Zii is able to offer airlines a complete IFEC solution complete with all of the advanced features including 2nd screen applications and a truly personalized experience for passengers. Zii is line fit on the Airbus A320, A330, A380 and A350 and is working to become line fit on Boeing aircraft and is adding standard seat pairings with all of the major seat suppliers. 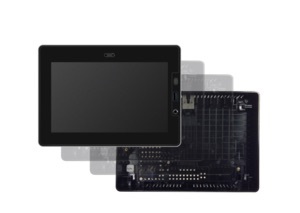 Zii has this year added an aftermarket support package to round out their portfolio of products. With RAVE Care, an airline can tailor a support package to its specific needs for a fixed price per month per aircraft. RAVE Care can include everything that an airline needs to maintain and operate their IFE systems, including spares, repairs, customer abuse and even content integration. Included in RAVE Care is a software guarantee that means airlines never have to worry about the cost of updating their Passenger User Interface and features over the lifetime of the system. AIX Hamburg, Germany | April 5, 2016– Zodiac Aerospace has announced at the Aircraft Interiors Expo that Air France has selected Zodiac Inflight Innovations to install its ground-breaking inflight entertainment solution as well as Zodiac Seat France seat for all classes. Air France has selected RAVE(TM) Centric IFE and Zodiac Seats for the upcoming retrofit of their Airbus A330 fleet – 15 aircraft in total. The RAVE™ Centric IFE interface mirrors the usability everyone is used to on their smartphones and tablets, from capacitive touch, high resolution screens to app-based functionality. Content includes on-demand movies, TV shows, music, radio and a moving map just to name a few. It includes an integrated USB charger, so there is no need to fear dead phones as well as traditional “PC Power” for passengers to be able to charge their laptops. On top of that, passengers’ personal electronic devices can be paired with the seat-back screen, so passengers can use their PEDs for interaction with the seatback display. Preview APEX Regional Conference/FTE Asia | November 9, 2015– Singapore Airlines will deploy high-speed connectivity on its long range fleet, with Zodiac Inflight Innovations providing the GX Aviation equipment including RADOME and ARINC 791 installation provisions for their A380 and B777 aircraft. Zodiac Inflight Innovations will supply the equipment for the retrofit program through SITAONAIR and will also be providing the equipment directly for the A380s. This will be the first Inmarsat GX Aviation system to be installed and is scheduled for the second half of 2016. “We are thrilled to be part of this ground breaking program”, says Larry Girard Executive Vice President of Zodiac Inflight Innovations. Zodiac Inflight Innovations is using its system integration expertise, to bring together all of the system components; including the Honeywell Jetwave GX terminal, continue Girard. Singapore Airlines has been at the forefront of inflight connectivity innovation. The airline was an early adopter of connectivity, on its A340s, as well as one of the first to provide connectivity on the A380. Recently, it has been providing free Wi-Fi sessions to the passengers in First and Business Class cabins through promotional sponsorship. The airline’s priority has always been to provide the very best inflight experience and knows passenger connectivity solutions have a central role in that. “Singapore Airlines is one of the most respected carriers in the world. By choosing Zodiac Inflight Innovations as the equipment provider and SITAONAIR services, Singapore Airlines is clearly demonstrating their belief in the superiority of GX Aviation in terms of passenger experience, reliable global coverage and support, says Matt Smith Zodiac Inflight Innovations CEO”. “Singapore is our first customer, but we are also excited about what is yet to come, continues Smith. The first aircraft type to be equipped will be Singapore Airlines’ B777-300ER aircraft, followed by A380-800s. APEX Expo, Portland, Oregon | September 29, 2015– Zodiac Inflight Innovations’ RAVE™ technology has now been installed on 300 aircraft. 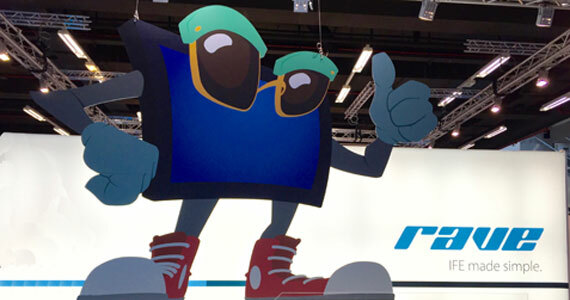 RAVE™ has four elements, RAVE™ Centric, RAVE™ Wireless, RAVE™ Cellular and RAVE™ Broadband, which together make up the entire IFEC offering that any airline needs. It is modular, so each airline can select the elements that suit it best and airlines can even provide different elements for economy and premium cabins. All the products are available in one integrated package or as standalone products. Whatever the airline wants from its IFEC, Zodiac Inflight Innovations has a flexible solution to meet its needs. RAVE™ Centric IFE is the very best in-seat IFE. RAVE™ Wireless uses wireless access points (WAP) to create an onboard wireless network for the distribution of films, TV, music and moving maps to passengers’ own PEDs, including smartphones, tablets and laptops. RAVE™ Cellular is Zodiac Inflight Innovations’ inflight mobile phone product. RAVE™ Broadband is inflight Wi-Fi and connectivity off the aircraft. A couple of points on the replacement display issue. With a “server-centric” system architecture, there are several components in the network that could cause the problem. Typically, a reset of sorts is the logical (and essentially only) method to try and fix a problem, which also has an impact on more than just the affected passenger(s). The flight attendant/purser typically goes through a progression of steps to perform corrective action. A reset at one seat (if that’s possible), a seat group (two to 4 passengers), a zone (30 to 50 passengers) or the entire aircraft cabin (300+ passengers). Each reset takes approximately 10 – 20 minutes. Doing the math, it could take perhaps between 10-20 minutes (for a single seat) or up to 40 – 80 minutes (for the entire aircraft). Reset time will be dependent upon the IFE system type and will vary. Additionally, there will likely be a lag (more time) between system resets, as the flight attendants/purser are busy with other passenger/flight services. With RAVE – If there is a problem with a seat, that is the only seat that is affected. If a reset is required, we have the “button” on the face of the display that when pressed for about 7 seconds, the display will reset. RAVE has a reset time of about 60 seconds. If the reset button at the seat does not fix the problem – the display can be hot-swapped during flight. The flight attendant takes a Hot Spare from the back row, and swaps the passenger display with a good unit. Within about a minute, the new display boots up and the passenger can continue the rest of the flight with a working IFE system. – The Hot Swap of a defective unit is placed in the back row, and is automatically logged in the Crew Panel. Maintenance can come onboard and know what occurred, and go directly to the last row to replace the unit that was swapped during flight. – The airline (and flight attendants) now have a simple way to fix an IFE system during flight, to maintain a high level of passenger satisfaction. RAVE eliminates the problem of having a dark flight, and passengers having no entertainment for a 15 hour flight. We received some feedback about last week’s IFExpress from Steve Nolan, Gogo and we felt it useful to share with our readers: “I read the part (last IFExpress) about virtual reality and its role in IFE. Scott Carmichael (Gogo) did a great white paper on Head Mounted Displays because we have been getting lots of questions from airlines on this subject. Obviously, there’s also just a lot of hype about these technologies because there’s a “cool” factor here. And speaking of airline inflight iPad usage, American Airlines had a Jeppesen-related App crash recently for a number of cockpit Apple iPad devices. Both pilot and co-pilot iPads crashed, in some cases rendering a stored flight plan useless. American took to Twitter to admit they had problems, further, many planes had to return to the ground for Wi-Fi to fix the problem. So many observations, so little time! April 10, 2015– The new dedicated Airline Services Interiors business, one of three distinct divisions under a new streamlined structure to be unveiled by Airline Services Ltd next week at Aircraft Interiors Expo (Hall 6 Stand B78), has completed the in-flight entertainment system retrofit programme for Economy class seats on 13 Boeing 747 and 18 Airbus A340 aircraft operated by Lufthansa. Airline Services Interiors has been responsible for the design, certification, and manufacture of modification kits to install the Zodiac Zii RAVE system on Recaro 3520 seats. As part of the seat upgrade, Airline Services Interiors has also integrated a universal power socket at every seat. Zodiac Zii RAVE is a touch screen tablet based IFE system and provides high resolution Audio and Video on Demand (AVOD). Its unique system architecture means each seat is independent so that a failure in one seat will not impact another and any failed displays can be replaced by the crew in-flight. Contract award was in 2012 with kit delivery starting in 2013 and completed in March 2015. 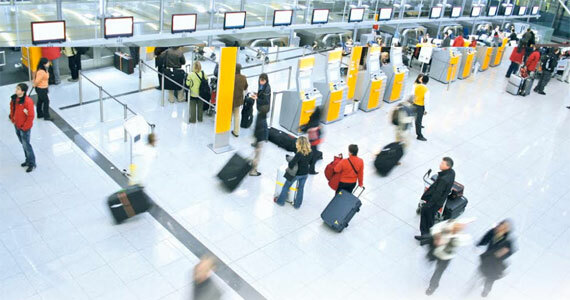 Physical integration was performed by Lufthansa at designated sites in Germany, Malta and China. Airline Services Interiors’ Passenger Seating Centre of Excellence in Manchester contributed to the successful programme supporting Lufthansa on the repair and modification of seats. Headed by Managing Director Martin Barnes, Airline Services Interiors’ portfolio comprises three market focused capabilities – Through Life Services, Engineered Products and Managed Solutions, which was responsible for the Lufthansa programme. Managed Solutions brings together Airline Services Interiors’ in-house design, manufacturing and turnkey modification with its EASA Part 21G design and manufacturing production capability. This enables it to deliver customised solutions for airlines to redesign, refurbish or upgrade their cabin interiors seating and IFE. The big news this week is from Gogo: The company announced today that it has received regulatory approval from the FCC to operate its next generation in-flight connectivity technology – 2Ku. The FCC approval clears a major hurdle in the path to launching the new service. The approval is a blanket approval from the FCC for Gogo to operate its 2Ku system on 1,000 aircraft. “Clearing the necessary regulatory hurdles to provide this service to an aircraft flying anywhere around the globe is no small feat. Gogo has proven it is a leader at navigating these environments for all aircraft types no matter where they fly,” said Michael Small, Gogo’s president and CEO. “We are happy that the launch of 2Ku is proceeding as planned and are continuing to work with the FAA on approval for installation.” Gogo expects the new 2Ku technology will outperform other global connectivity solutions currently available in the market. The new antenna technology is expected to deliver peak speeds to the aircraft of more than 70 Mbps. The advantages of 2Ku are significant. The antenna is more spectrally efficient which means it will produce more bandwidth at less cost than competitive solutions. 2Ku’s performance benefits will be even more dramatic in tropical regions where other satellite solutions degrade significantly due to restrictions associated with operating at high skew angles. The antenna itself is only 4.5 inches tall and the low profile produces very little incremental drag on the aircraft. The 2Ku antenna and its increased spectral efficiency are compatible with today’s Ku satellites and future Ku satellites, including future spot beam satellites. 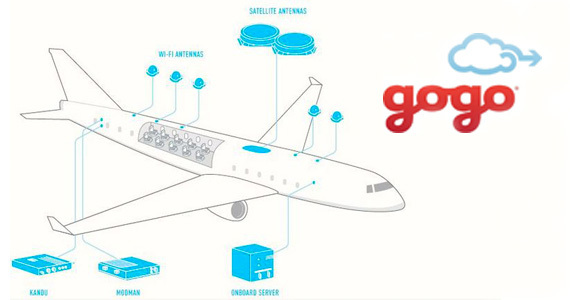 When future satellite technologies become available, Gogo expects peak speeds for the service in excess of 100 Mbps. Because the antenna can be used with any Ku-satellite, it also avoids the single point of failure that comes with reliance on a single satellite for connectivity in a given region, and offers airlines much desired redundancy and reliability. If you forgot about what 2Ku actually is, and how it works, we have a perfect solution – look here! As they note about the exposition; “Aircraft Interiors Expo is the world’s largest event dedicated to sourcing the latest innovations, technologies and products for the cabin interiors, inflight entertainment and passenger comfort industries. 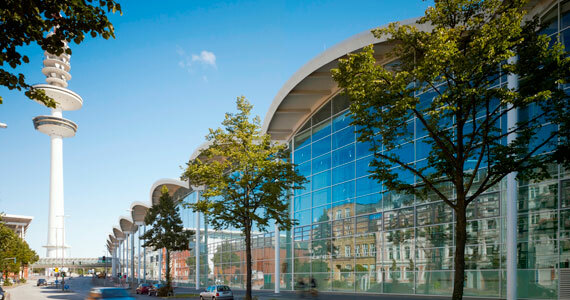 Taking place in Hamburg from 14- 16 April 2015 the exhibition attracts thousands of buyers and decision makers from major scheduled, regional and charter airlines and offers the opportunity to meet face to face with suppliers and manufacturers covering the full spectrum of the industry.” Also, we note that a total of 74 submissions were received for the Crystal Cabin Award 2015. After detailed examination we understand, the six members of the preselection committee have approved 68 of these for the shortlist. In the next stage, the international jury of 25 experts, including representatives of various airlines, aircraft manufacturers, suppliers, and technical service providers, along with university professors, consultants and specialist journalists, will now evaluate all accepted entries, so that the finalists for the seven categories can be nominated shortly before the Aircraft Interiors Expo (14 – 16 April, 2015). The winners will be crowned, as they are every year, at a formal gala event held in association with the Aircraft Interiors Expo in Hamburg. Also, don’t forget the other reason for going, the World Catering and Onboard Services Expo will take place there as well. “Visitors will include onboard services and retail buyers, food and beverage buyers as well as procurement representatives from air and rail travel operators. The exhibitor base includes providers of snack foods, pre-prepared meals, food service equipment, hygiene products and services, food packaging, passenger comfort products and onboard retail items. In other words, you had best go because all your friends and competitors will be there. By day we will be roaming the floor (more on that later) but we will have more later on this event! An ‘“industry source” sent this update on the new CEO at Zodiac Inflight Innovations – please welcome him: Zodiac Aerospace is pleased to announce the appointment of Matt Smith as CEO of Zodiac Innovations (Zii) as of January 19th, 2015. Matt replaces Rod Farley who will enter retirement at the end of January. Rod has been an integral part of creating Zii, serving as a leader in the former IMS Company and Zii CEO for the last 2 years. 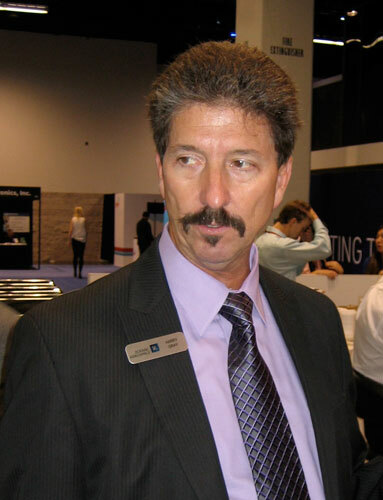 His customer focus has been instrumental in making Zii a key player in the IFEC industry. We are going to miss Rod and wish him all of the best in his future. Matt joins Zii from Panasonic Avionics Corporation where he spent the last 6 years and was recently Senior VP of Operations. He was also the Chairman of Panasonic Corporation Singapore (PACSS) joint venture. Previously, Matt was with Rockwell Collins in both Avionics and Inflight Entertainment, and Honeywell Aerospace in Avionics. Matt has a Bachelors and Masters Degree of Electrical Engineering from the University of Wyoming. Matt will be based in Brea, CA office. As you may know, 2014 was certainly the year of the “hack” and data breaches are now a weekly event. The folks at Zenedge provided a very good infographic on the subject and we provide it here for you. While the aviation industry and aircraft have seemingly been lightly affected, you might want to view the 1 hour Internet Webinar Recording that SITA and Recorded Future put together. You might enjoy reading Aviation Week’s Person of the year article, especially the Letters To The Editor! Lastly, did you know that powdered alcohol is on its way to your local liquor store… if your state doesn’t ban it first. Called Palcahol, the powder, when mixed with water or mix, can deliver vodka or rum flavored drinks with the booze built-in. Boy are the inflight passenger requests for water going to increase.